Select your day of the week, seating zone, and price level. You will have the same day (i.e. 2nd Wednesday or Preview Thursday or Third Saturday Matinee) and seats for each production during the season. Click here to see the perks of becoming a member. 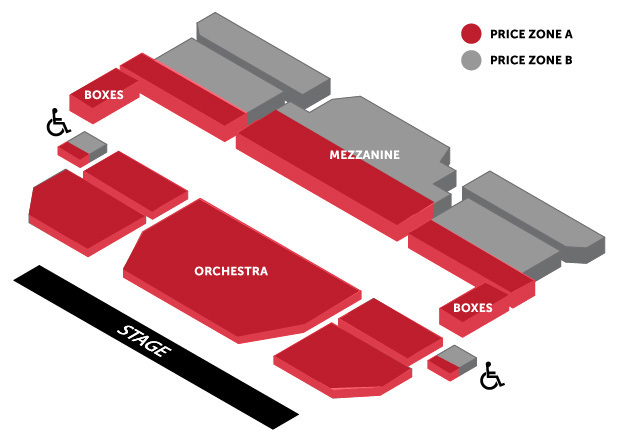 Click here to see the detailed seating map. A Theatre-On-Demand Member will receive vouchers that can be used in any configuration they choose, e.g. all at once or spread throughout the entire season. Just call the Box Office to select your day and time and then exchange your vouchers for tickets at Will Call when you arrive for your performance. Click here to see some of the benefits to membership!